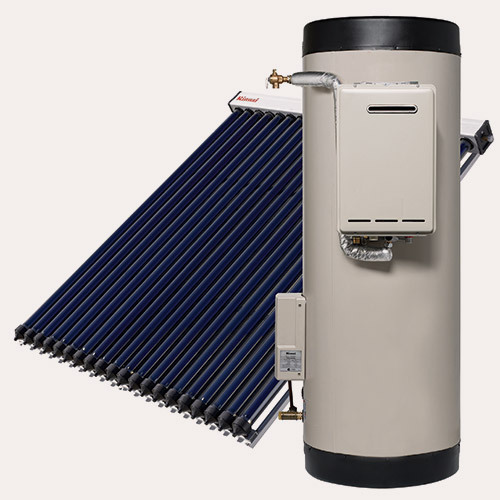 There are two types of solar hot water systems: 1) evacuated tubes and 2) solar collector panel systems. 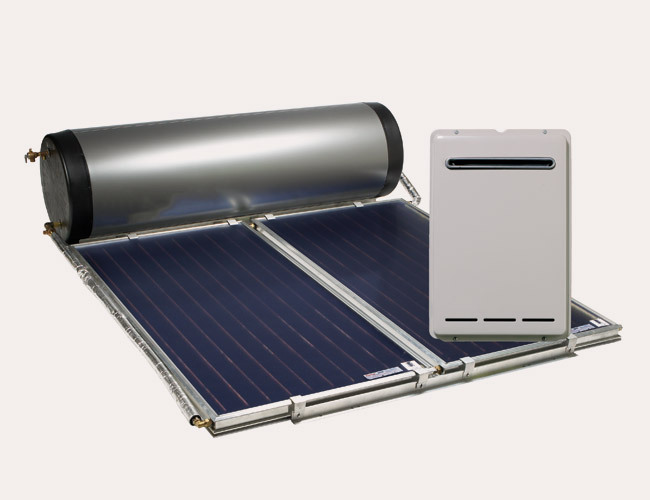 The evacuated tube system is a highly efficient solar water heating solution. It is comprised of the roof-mounted tubes, with a ground mounted storage tank that is installed separately. This helps to keep the aesthetics of the home intact. The water is circulated from the cylinder through the header across the top of the tubes using a small pump to absorb the maximum available solar energy. The tubes are typically frost tolerant, down to -12° C, which makes them a good choice for colder climates. The system can be boosted electrically or by continuous flow gas to allow for those times when there is not enough sun to heat the water effectively. A Solar Collector (also known as a flat panel system) is the most common in Australia and is typically cheaper than evacuated tubes. However, the latter is more efficient in cooler climates. Solar Collector systems consist of solar panels and a storage tank, which is typically gas or electric that is boosted to cater for those times where there is not enough sun to effectively heat the water. While they can be relatively expensive to purchase, they will pay for themselves over the longer term, due to their very low running costs.